Since my last book, “Storm Scarred Banner” was released a couple of weeks ago, I’ve been busy with a game design project. Although I can’t say too much about it at this point, I can tell you that it looks at the large-scale events in the book series from a broad top-down perspective. To that end, I’ve been conducting research and deepening my knowledge of the wider issues of a Third World War fought in the 1980s. One of the more interesting ideas I didn’t know about until yesterday was that of FOFA or “Follow On Forces Attack”. In the 1980s, NATO was trying to figure out the best way to stop the Soviets from succeeding with a conventional war in Europe. Knowing that Soviet doctrine relied on the echelon system, where successive waves of troops would be thrown into battle time and time again, the new NATO strategy came to be that of hitting these successive waves from the air as they came up to their staging areas behind the front. General Bernard Rogers, who was SACEUR throughout most of the 1980s, was a major proponent of this concept. 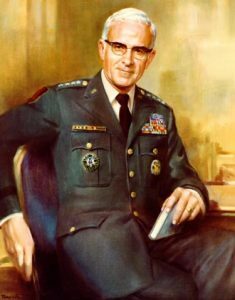 General Rogers, a force of nature in military circles back then, was concerned with the overwhelming advantage in numbers of men and tanks that sat behind the Iron Curtain. Despite NATO’s unquestionable technological superiority, Rogers seemed concerned that it was not enough to deter or stop the Warsaw Pact from gaining the upper hand in a conventional fight. Despite falling out of favor with Washington and forced to resign over comments related to the withdrawal of Intermediate Nuclear Forces in Europe, Rogers’ FOFA concept was held in esteem by many military thinkers at the time. To read more about FOFA and how it would have been put into practice, check out this study project paper from the US Army War College in 1990. Very interesting reading. A week ago, I uploaded my latest book, “A Storm Scarred Banner” to the Amazon Kindle Store. Since then it has taken off along with the rest of the books in the “Tales of World War III: 1985” series. I thought that was quite stirring and lovely. The effect is almost visceral and the story of how the country was forged through battle and peace was appropriate for a novel of this sort. The banner, of course, refers to the red banner of the Soviet Union and the Red Banner Fleet. I think this is one of my better works in the series because it looks a little more closely at the soldier’s lot in a war. There are no superheroes in this book – just men trying their best to survive in their current situation. One of the best aspects of writing a book like this is expanding my own knowledge and understanding of how the Soviet and NATO military doctrines worked, from the divisional level to the level of the individual soldier. I tried to touch upon this in the first book of the “Tales of World War III” series with three short stories that looked at such a conflict from different scales. The reviews I read of the book showed that some people “got” what I was trying to do and some people didn’t, which is fine too. The sources I’ve used for these books include games, magazines, and books. My current favorite book on this topic is Victor Suvarov’s “Inside the Soviet Army”, published in 1982. Suvarov was a high ranking armor officer in the Soviet army for many years and brought his extensive knowledge and experience to bear in this book. Some of the interesting finds in this book include the routine bullying and harassment that new recruits faced from the conscripts who were more senior to them – not in rank but relative to how close they were to finishing their two-year service period. I had never read anything about this in the popular fiction about this time period so I decided to incorporate it into my newest book. One of the main characters, Yuri Semenovich, is a conscript who has just been assigned to the 45th Motorized Rifle Division. His platoon is infested with severe bullying from the other more senior men around him. Terrorized by a gang of thugs, he decides to ride out the abuse as best as he can until the war is over. This decision has a series of consequences that transform the young Yuri over the course of one week. It become apparent that Yuri’s enemies are not only NATO troops but also the men who serve with him. How will Yuri deal with being caught between the two of them? The story I’m currently writing in the series explores a couple of different themes. The major theme here is courage. For the characters involved, courage comes in many forms and this short work tries to explore moral courage especially. As the chaos of war is brought into the characters’ lives, they are thrust into situations that test their moral fiber to stand up for what is right. Not so easy to do in the midst of a world war. I chose this theme because I realized the best war movies out there tend to address this component. In particular, the movies Platoon and Casualties of War are about moral courage. Apocalypse Now seems to dismiss the possibility of morality in an inherently immoral act of war but I would disagree with this notion. Certainly, there are enough examples of people doing the “right thing” even in the most terrible situations. Rest assured, the story also tries to show how such a conflict might actually have happened. I’m currently researching equipment and training for the forces involved. Also, I’m wargaming the situation out with a wargame called Nord Kapp, published in 1983 by SPI. It’s a fascinating look at what a conventional modern conflict in the Arctic Circle might have looked like. You can follow it on my wargaming blog, Hexsides & Hand Grenades. So my upcoming freebie is the next entry in the Tales of World War III: 1985 series. Although I have just started to write it, I am falling in love with the setting. Part of the answer for that is contained within the question. If the Soviets had invaded Western Europe in the 1980s, Scandinavia would have been a huge part of determining how things went for them. Controlling this region would have allowed them to strike far beyond the range of Eastern Europe’s airbases. From here, they could have also based their naval units and submarines to move through the GIUK gap. Despite the importance of this region for a Third World War, there isn’t much fiction dedicated to it. I suppose the major focus was on Germany during that time and people liked to imagine Soviet tanks pouring over the inter-German border and heading straight down the Fulda Gap. 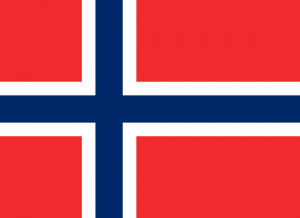 But culturally and geographically, Scandinavia is a unique setting for modern warfare. Any study of the Finnish-Soviet war yields some amazing accounts of fighting in the snow and cold of the Arctic Circle. It’s for this reason that I’m writing a novel that would finally give this region the spotlight. More on this later.